This serum is rich in antioxidants and essential fatty acids. 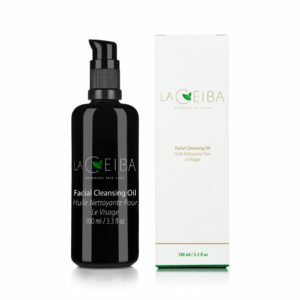 This oil formula maintains skin’s moisture barrier, promotes skin elasticity, revitalizes skin by improving skin texture and helps reduce the appearance of scars. Wash your face with warm water. Pat it dry. Massage 7-10 drops to damp face and neck, every morning and night. Avoid eye area. Always apply on cleansed skin. For best results, we recommend applying serum following our Facial Cleansing Oil and Toner of your choice. Caution: This serum contains Unrefined Tamanu Oil. Persons with nut allergy should not use this oil. *Vitis Vinifera (Grape) Seed Oil, *Oenothera Biennis (Evening Primrose) Oil, Persea Gratissima (Avocado) Oil, *Simmondsia Chinensis (Jojoba) Seed Oil, Calophyllum Inophyllum (Tamanu) Seed Oil, *Rosa Canina (Rosehip) Fruit Oil, **Psidium Guajava (Guava) Seed Oil, ***Lavandula Angustifolia (Lavender) Oil, **Citrus Aurantium Amara (Neroli) Flower Oil, *Rosmarinus Officinalis (Rosemary) Leaf Oil, **Jasminum Grandiflorum Flower Oil, Tocopherol (Vitamin E). Evening Primrose Oil is rich in gamma linoleic acid and omega fatty acids, which improves the look and texture of the skin. Guava Seed Oil is a powerful antioxidant that contains an impressive content of linoleic fatty acid; it helps reduce the appearance of scars, helps with retention of skin moisture and promotes skin elasticity. 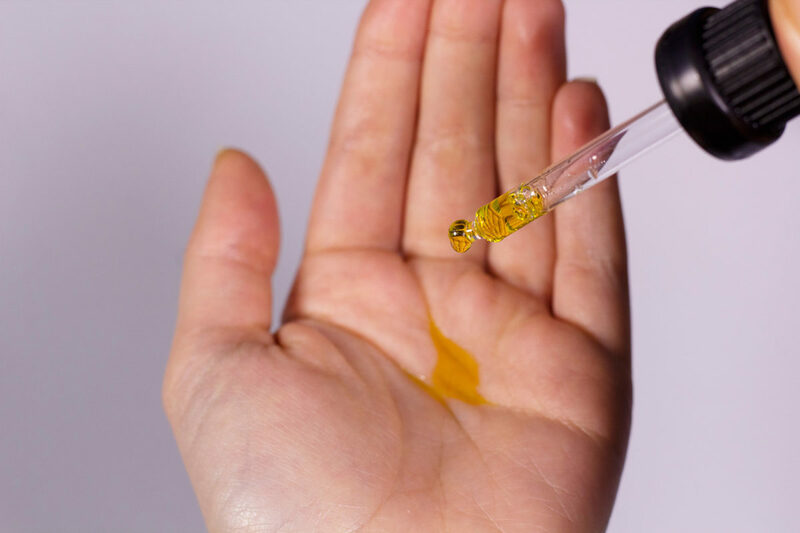 Jojoba Oil closely resembles skin’s sebum making it an excellent natural moisturizer and is rich in Vitamin E.
Avocado Oil is rich with Vitamin A, B1, B2, D, E and Beta Carotene. It is highly moisturizing and it promotes skin regeneration. Rosehip Oil is extremely high in essential fatty acids allowing it to replenish skin’s moisture barrier and aid in healing damaged, dry skin and cell regeneration. What is the difference between your Balancing Facial Serum for Blemish-Prone Skin and Revitalizing Facial Serum for the Look of Acne Scars? Balancing Facial Serum was formulated to unclog your pores, balance excess oil and clarify your skin. 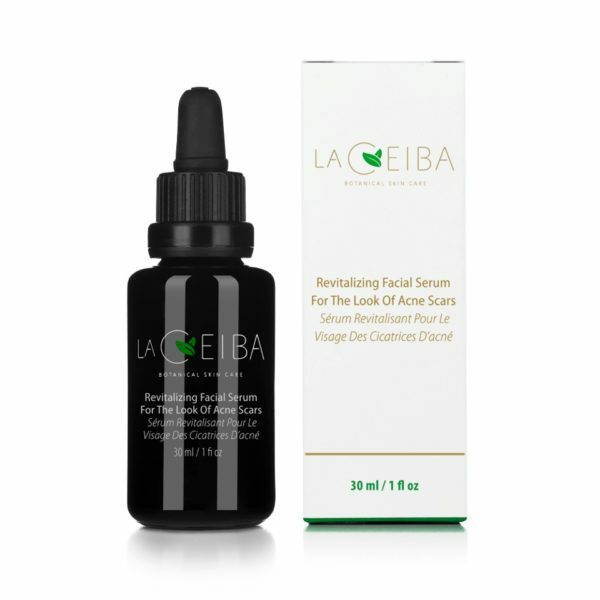 Whereas the Revitalizing Facial Serum for the Look of Acne Scars works to promote regeneration of skin cells to improve your skin texture and helps reduce the appearance of acne scars. Consistency is key! You should start seeing improvements in 2-3 weeks of consistent usage. after curing my acne, I asked if they had serums available to help with the little acne scars I have. This serum is rejuvenating my skin perfectly. It has come to the point that I no longer wear foundation when I go out. I feel confident with wearing mascara only ! My skin is extremely sensitive and has always been problematic. I had a bad case of perioral dermatitis which left me with many scars on my chin. This is the only product that significantly reduced the look of them to the point that they are now barely visible two weeks later! This has also helped with the texture of my skin and overall is an excellent product to treat any type of acne scars.